Lower School clubs are offered on Mondays from 3:20 to 4:00 p.m.
Let’s have fun playing board games – a timeless, good activity! Learn a variety of card games from around the world. Although cards will be supplied, you are welcome to bring your own, including nontraditional playing cards such as UNO. Grade 5’s, it’s your turn to be the center of attention at the Christmas Concert! W5H is a general knowledge quiz competition. You can demostrate knowledge of the curriculum, the world around you, and develop thinking and research skills. Each edition of the student paper centers on a topic, determined by the editor. Articles, spreads and columns all explore the topic in various ways. .
Every year, the upper school students put on a production supervised by the Art and Drama teacher. They fill all the roles and gain experience in writing, acting, directing, and backstage production. In math club, we celebrate and explore the joys of mathematics. Students are preparing for various mathematics competitions and are organizing events to celebrate math. During math club, students also get extra help and tips for math homework. The Upper School Explorer’s Club (Les Explorateurs – Formerly the French Club) are a group of enthusiastic young women who are interested in traveling and learning about different cultures and languages around the world. In our inaugural year, we looked primarily at the history of Quebec and fundraised in preparation for our March trip to Quebec City, where the students enjoyed their experience. This year, meeting bi-weekly, our members will expand their knowledge about cultural traditions/ holidays. We will compare holiday celebrations, learn some key vocabulary and share some food along the way. Avec nous, c’est toujours un voyage de plaisir, à notre goût! 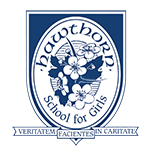 The yearbook club is responsible for producing the annual Hawthorn yearbook. Students have the opportunity to develop basic photograph, layout and design, and illustration skills. Students that participate in this club are (or this club will help them to be) self-motivated, cooperative, and responsible.